The top basin of the Lower Manorburn dam is the smallest of the three basins. Access is either by walking from the middle basin, by skating through the neck or by clambering over a large rock to avoid the treacherous neck area. The top basin is often known for having some of the best ice. 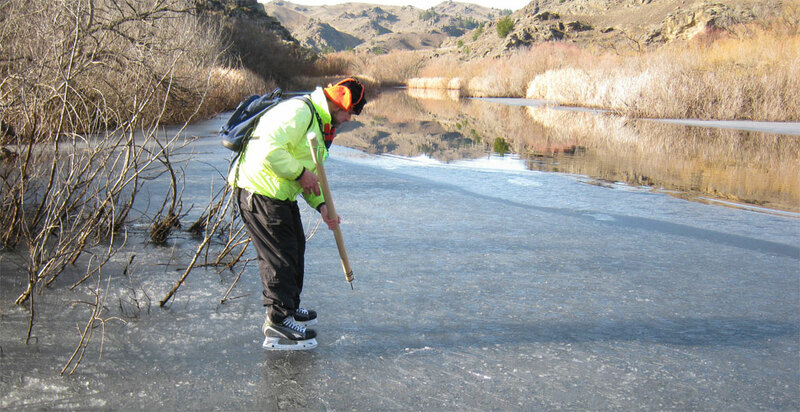 It also often has sufficient ice for skating when the bottom and middle basins do not. 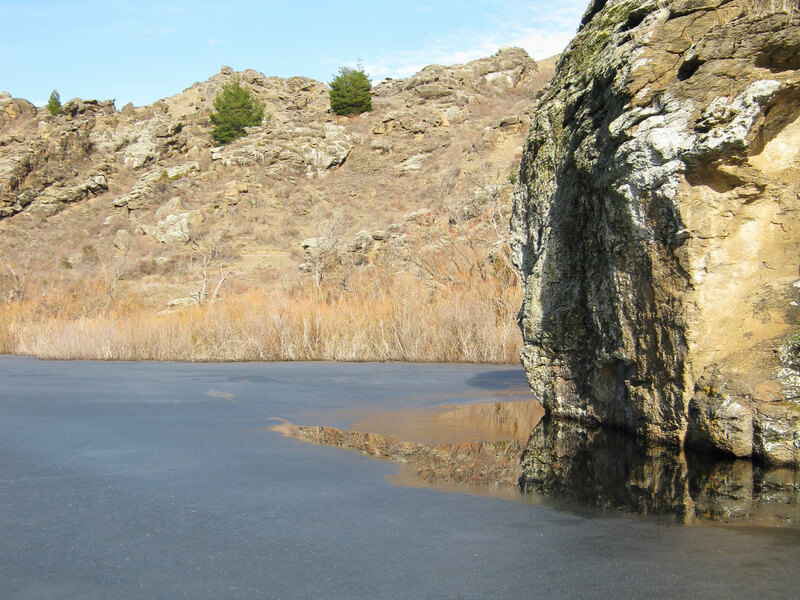 The natural shadow caused by the hill which surrounds this basin often allow it to keep it’s ice after the other two basins become unskateable due to warming temperatures. 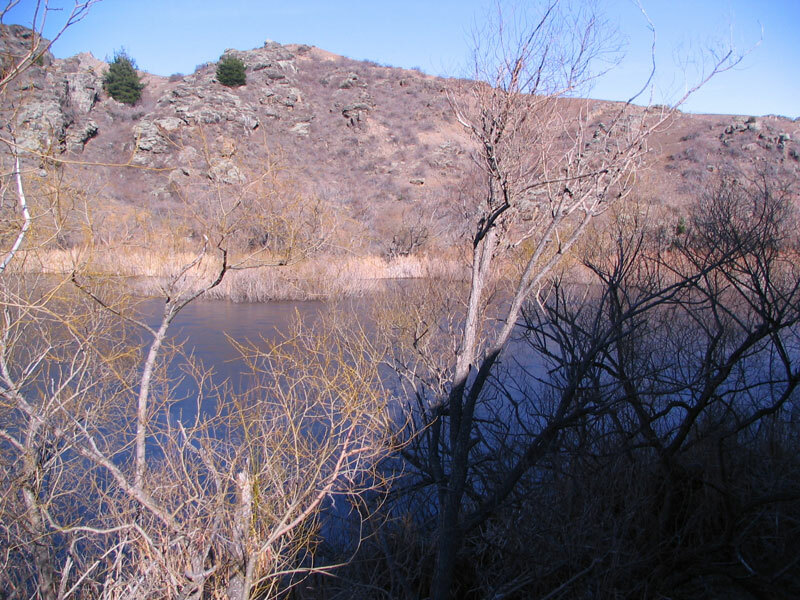 View of the top basin heading towards the creek. July 17th 2010. Photo courtesy of Kara Ross. View of the top basin from just after the neck. July 24th 2010. Photo courtesy of Ryan Hellyer. David Patchett testing the ice strength via his testing spike towards the upper end of the top basin of the Lower Manorburn dam. July 24th 2010. Photo courtesy of Ryan Hellyer. In rare circumstances it is sometimes possible to skate up the creek which feeds into the top basin. The creek eventually becomes in-passable as it becomes overgrown by trees further up. Jaclyn Ho standing in the creek at the far end of the Top basin. July 17th 2010. Photo courtesy of Kara Ross. 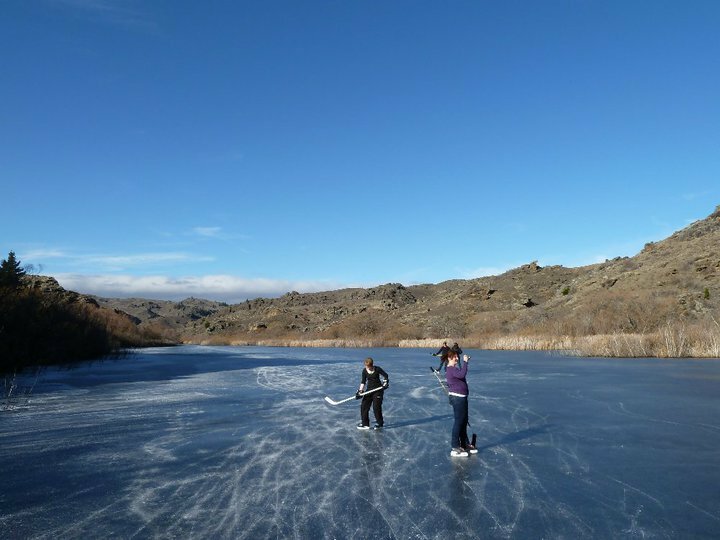 Often there is insufficient ice to skate from the middle basin to the top basin, and so a more adventurous approach is needed via a walking path which runs from the middle to upper basins. 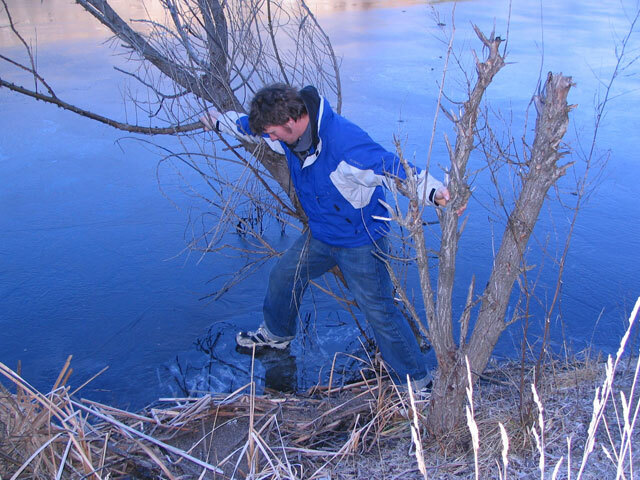 Unfortunately the rushes and trees which grow alongside the basin often leave the ice on the immediate edge too thin to stand on and so it is often necessary to make your way onto the ice with a plank, branch on the ice or by hanging from an overhanging branch on a tree. Top basin as seen from the walking path. 21st August 2007. Photo courtesy of Ryan Hellyer. Ted trying to make his way onto the top basins ice by clambering through the trees. 21st August 2007. Photo courtesy of Ryan Hellyer.